Reigning Miss Earth Zimbabwe, Samantha Dika, recently received a Women’s Philanthropic Award for her outstanding achievements in Green Awareness activities. 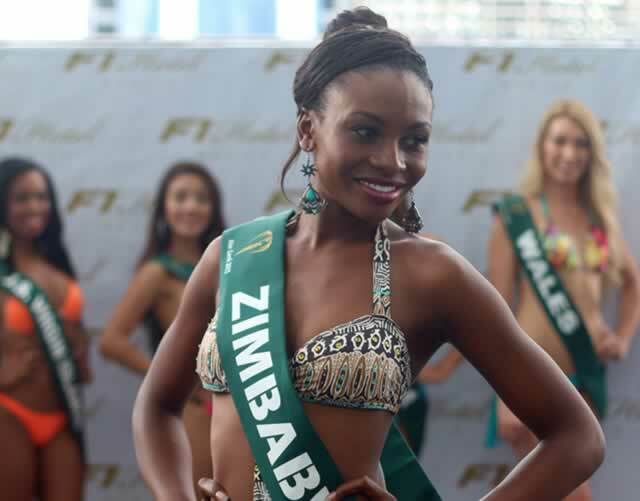 The beauty queen, who was honoured by the Zimbabwe Philanthropy Institution, expressed her joy over the success. “I feel greatly honoured,humbled and inspired to do more. “I wasn’t expecting this although I have always wanted to earn an award. “It is my dream to have great achievements like Kenyan humanitarian Wangari Maathai, who once won a Nobel Peace Prize. “My greatest desire is to obtain land that I can use to establish my ‘fruit tree’ farm,” she said. The model spoke about some of the programmes she undertook before receiving the honour. “I did several projects that include tree planting in most Harare Council Primary Schools and Prisons like Hwahwa in Gweru as well as the facilitation of various needs of children in children’s homes. “I had a development program in which I would take institutionalised children to recreational places such as Mukuvisi Woodlands, Luna Park, Greenwood Park and movie houses. Dika will join hands with her runner-up, Miss Earth Fire, this week in promoting United Nations theme “Think. Eat. Save” campaign starting today. “The theme is an anti-food waste and food loss campaign that encourages one to reduce his or her foodprint. “This week together with my runner-up Baye Purgos we will visit 30 schools in Bulawayo to encourage correct food management and help children at schools in finding solutions to food wastage,” she said. Before finishing her term, Dika aspires to establish a foundation through which poor and marginalised people may be enriched through sustainable, developmental, profitable and environmentally protective programs. Dika is a self-taught fashion designer who grew up in Harare. A holder of a National Diploma in Tourism and Business Administration, she is currently studying towards Business Administration with the University of London.